The small, otherwise unassuming fishing village of Tulamben draws scores of tourists every year as the site of a sunken U.S. cargo ship. 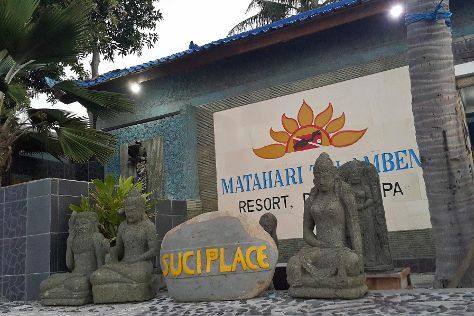 This highly popular diving spot tops most Tulamben itineraries, and aquatic activities at or near the site drive the commerce of almost the entire town. On land, morning markets and relaxing beaches round out the list of things to do. Tulamben is in Bali. Use our Indonesia trip planner to arrange the hows, wheres, and whens of your trip to Tulamben. Tulamben remains a small, quiet town built around a single tourist attraction. Still, it offers a number of lodging options. Several budget-friendly bed and breakfasts, hostels, and motels sit on roadside locations, convenient for exploring the rest of the island and ideal for the backpacker. Head along the shore for slightly more luxurious options with better amenities--perfect if you're planning on spending a little longer in Tulamben.